Welcome to DampWorks LTD we are a specialist company of highly skilled CSRT, CSSW & A.C.A.B.E surveyors and technicians, offering a one stop service from consultation to cure for RISING DAMP, CONDENSATION & BLACK MOULD, WET & DRY ROT and WOODWORM. We are full members of the PCA (Property Care Association). Our damp & timber reports are prepared by fully PCA CERTIFIED SURVEYORS; we offer INSURANCE BACKED GUARANTEES on all of our work. We will provide a detailed report and no obligation quotation, which is FREE for home owners. Based in Bromley, Damp Works covers the whole of LONDON into the heart of KENT and SUSSEX, offering surveys during normal working hours as well as early, late and at weekends to fit around your busy schedule. We work with private home owners and buyers, landlords and commercial clients to provide solutions for damp and timber issues - we have even provided professional advice and services to Sarah Beeny's Help My House is Falling Down as seen on Channel 4 and to Phil Spencer's (Secret Agent) as well as working on a house that was featuring on location location location. 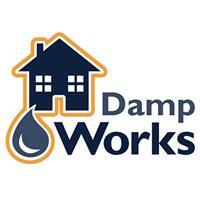 Contact Dampworks Ltd to arrange an onsite inspection/survey or for free advice.